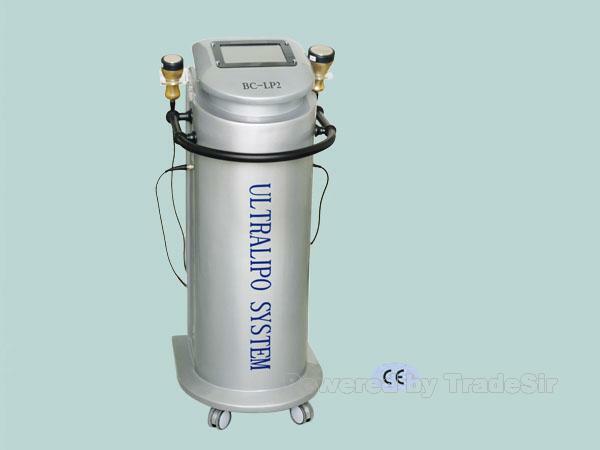 The Non-Invasive Equipment in the World with Cavitation Transdermic&apos;s Principle for Treatment of Adipose and Cellulite. UltraLipo System combines the Acoustic Wave Therapy, which achieves its almost incredible results by means of the effective impact of low-frequency, the pressure waves from AWT on localized fat tissues via acoustic cavitation and the subsequent reduction of the fat cells. The pressure also breaks up the collagen of the septae and releases to skin, allowing a smoother surface, and the fat is metabolized and expels from the urine.